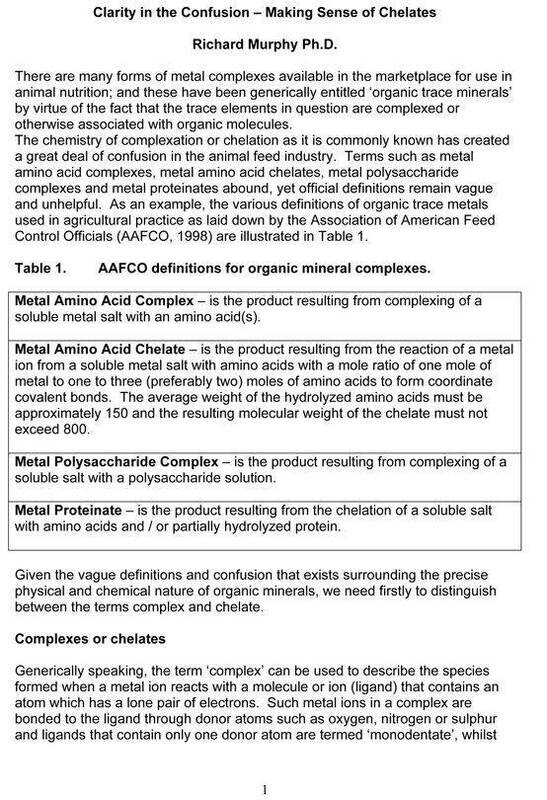 When referring to organic minerals, the term organic is a chemistry term referring to the structure, stability and how absorbable a mineral is to the horse. Is this really important? Yes! ... because if your horse is not fully absorbing the minerals you feed, he is excreting them and not gaining full benefit. It makes sense to do it properly and gain the benefits of superior supplementation which cut costs in the long run via, better feed ultilisation, less illness and vet visits, a longer more productive life with a better quality of life. For performance horses it means all this plus better performance. So in a market where some companies claim to have the "highest spec minerals made in NZ" ...who actually is telling the truth? 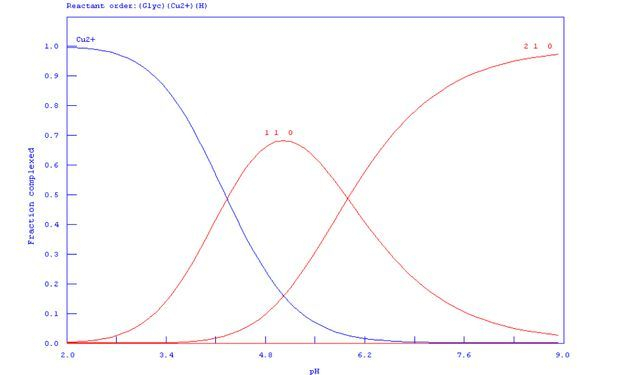 There are several levels of quality relating to minerals and the variables mentioned above. 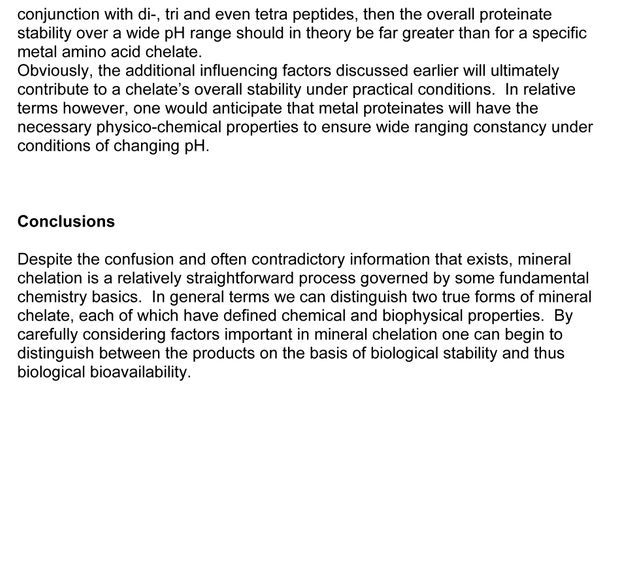 1 - The absolute highest level of stablity and absorbtion is a chelated proteinate mineral. These minerals have atoms linked with protein which is very stable in gut acid and are fully absorbed. 2 - The next level is a glycinate. These are chelates bound or linked with amino acids which are the units which make up protein. These still have excellent absorption but are not quite at the level of a proteinate, but they are cheaper. 3 - Other chelates linked or bound with substances such as vitamin C (ie an aspatate). They are preferable to inorganic minerals but are not as stable in gut acid as protein or amino acids as they are more sensitive to pH and so absorption is more limited compared with the higher quality organics. 4- Inorganic minerals - these minerals are cheap, relatively unstable and have varying absorption rates. They have less stable molecules that can easily attach and attract other molecules changing their composition and for this reason have very real toxicity levels. It is not uncommon for horses receiving inorganic supplementation to still be minerally deficient, and they are rarely screened for common raw mineral contaminents such as dioxins, pcb's or heavy metals, especially for animal products. It is quite important to feed minerals of similar absorbtion. Mixes with a few organics combined with inorganics lead to imbalances. For example - Iron supplementation should never be necessary if your horses are receiving enough copper and cobalt and in fact anemia is a common side effect of a deficency in these minerals. Iron is plentiful in the environment, is a heavy metal and only minerally deficient horses show low blood levels. 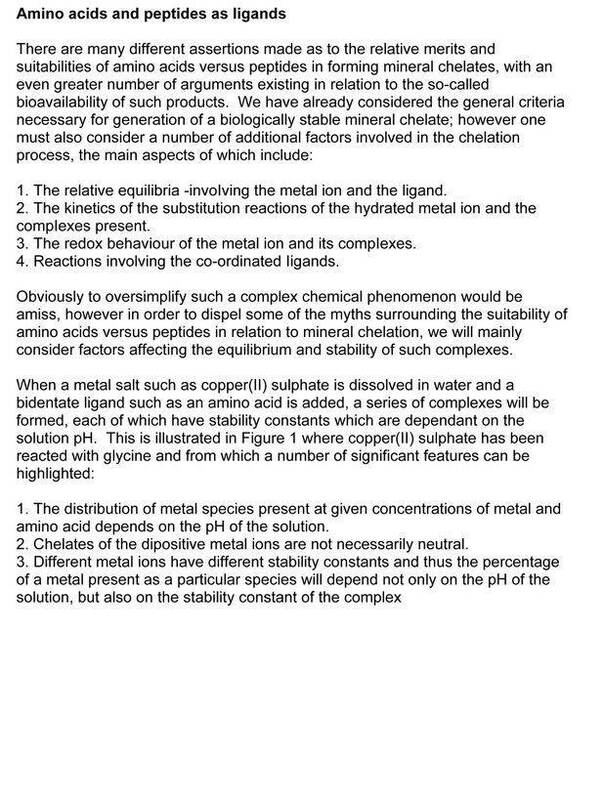 The answer is to correct the mineral balance not supplement iron. The take home message is minerals are all related and rely on each other for absorbtion, as deficiencies of one can complicate the ability to absorb others. For this reason, how absorbable your minerals are is very important and they should ideally be in the same form. 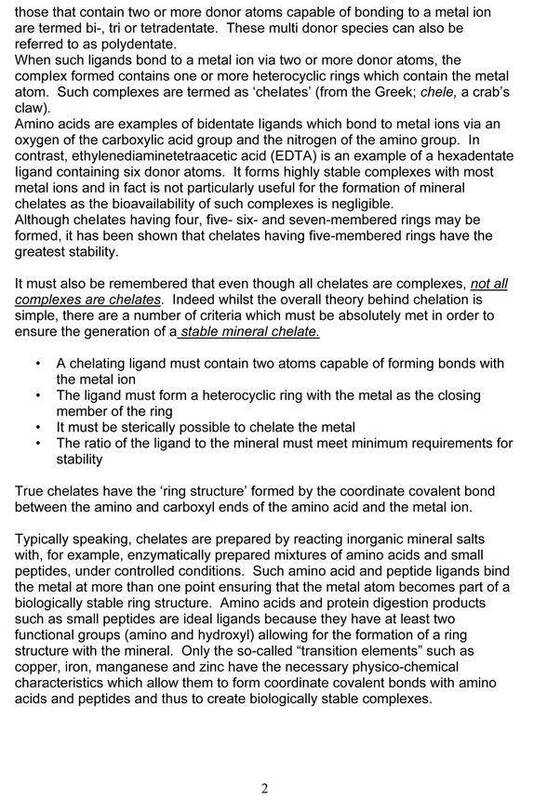 Below is a chemistry article explaining some of the differences in more detail.